Photo of: East Coast of Ireland: Wicklow: Bray. A view from Bray Head of Killiney Bay in the foreground and Dublin Bay in the background. 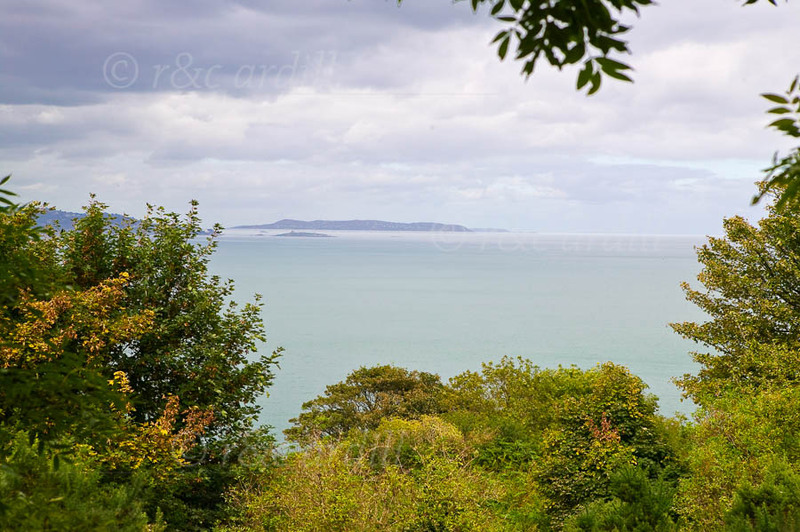 The small island is Dalkey Island and what looks like a large island in the background is in fact Howth Head. The walk from Bray Head to Greystones, to the south, is one of the loveliest coastal walks in Ireland.